JOE D. HONAKER, 73, of Scott Depot, formerly of Logan, husband of Deloris Williams Honaker, died Thursday at home. He was a funeral director and owner of Honaker Funeral Home, Inc., 200 Main Street, Logan, West Virginia. Funeral service is 1 p.m. Monday at Winfield Church of the Nazarene; burial is in Cunningham Memorial Park, St. Albans. Visitation is from 6 to 8:30 p.m. Sunday at the funeral home. Dolores Irene Honaker, age 84 of Logan and Scott Depot, WV departed this life on Thursday, March 17, 2016 at her home in Logan after her long battle with Alzheimers. Born December 31, 1931 at Springhill in Kanawha county she was the daughter of the late Arnold Sr., and Lillian Dillon Williams. She was also preceded in death by her loving husband of 49 years, Joe D. Honaker, one brother Harold Williams, sister-in-law Jackie, and her sidekick, Gertie. Dolores was a homemaker and co-owner of Honaker Funeral Home in Logan. Years ago she was employed as a switchboard operator and Admissions Clerk for H. J. Thomas Memorial Hospital in Springhill. Dolores was of the Christian faith. She is survived by three daughters, Debbie M. Watson of Hurricane, Kristi Lynn (Glenn) Honaker Austin of Elliston, VA, and Lisa Renee'(Fred) Honaker-Odom of Limestone, TN, one son Michael J. Honaker of Logan, Sister Phyllis (Don) Meadows of Nitro, Arnold S. (Caroline) Williams of Eleanor, and Robert L. (Bernie) Williams of League City, Texas, granddaughter Rachael Shea DeLane (Steven) Honaker-Holbrook of St. Albans, several nieces, nephews, cousins, other relatives and good friends. Funeral services will be held on Monday, March 21, 2016 at 11:00 a.m. at Honaker Funeral Home in Logan with Rev. John Hays officiating. Burial will follow in Cunningham Memorial Park at St. Albans. Friends may call from 6:00-8:00 on Sunday, March 20, 2016 at Honaker Funeral Home in Logan. Family and friends will serve as pallbearers. In lieu of flowers the family request donations to The Paws Squad 1412 Lincoln Way Chapmanville, WV 25508 to help with pets in need. Honaker Funeral Home in Logan is in charge of arrangements. These trips were shortened considerably when railroad transportation was reached throughout the country. Then, it was possible to go to the homes and return all in the same day. With the event of adequate highway transportation, we were able to start giving real services to our people. The third floor of the Logan Mercantile was converted into funeral parlors, and the first semblance of present day funeral service was started. On Sunday, September 6, 1931, the present Harris Funeral Home was dedicated to the people of Logan county. Of course, changes have been made to the present structure since that time. New personnel have been added, as we have lost old, for we, like everyone else, must give up those who are with us. My brother, B. C. Harris, who founded the business in 1909, Rev. J. Green McNeely and Joe Wolfe, who were associated with us for a long number of years, have passed on. However, capable and competent men have taken up the work where they dropped it. As I see it, Logan countys history has been great, the men who have worked played and died here have carved into these hills a monument to themselves. However, the future of our county holds promise to grow even greater, and IÃƒÂƒÃ‚ÂƒÃƒÂ‚Ã‚Â‚ÃƒÂƒÃ‚Â‚ÃƒÂ‚Ã‚Â™m sure the ned years will be more eventful than the last. Source: 1952 Centennial Program Booklet, Page 30. Published by the City of Logan, WV. The Harris Funeral Home served Logan County from 1908-1966. Before being used as a funeral home, it was the home of John B. and Rebecca Chafin Wilkinson. In 1895 during the homes construction, eleven Native American skeletons were exhumed. John B. Wilkinson died Aug. 12, 1919 and was buried in the Straton Cemetery. In 1966 Joe and Dolores Honaker purchased the business and the name was changed to Honaker-Harris Funeral Home. In 1973 after the passing of Greta Harris, the name was changed to Honaker Funeral Home. Sadly, Joe D. Honaker died in 2006. His wife and son, Michael now run the family business. In 1908 the Harris family founded the Harris Funeral Home located on the third floor at the Logan Mercantile Company. In the 1930's the funeral home was moved up the street to 200 Main Street in the stately home of Logan County Judge Wilkerson that had passed away. The new location was the first in the area to be air conditioned which was one of the points in the Open House program when the funeral home moved. In 1960 Joe D. Honaker moved his family to Logan so he could begin work at the Harris Funeral Home. After working for nearly six years for Robert Harris, Joe was asked to come into the office one day and asked if he would like to buy the funeral home. In 1966 Joe and his wife Dolores purchased the funeral home and surrounding property. The name of the funeral home was changed to Honaker-Harris Funeral Home because of the wishes of Greta Harris the wife of the founder of the Harris Funeral Home until her passing. In 1973 the name was changed to Honaker Funeral Home. 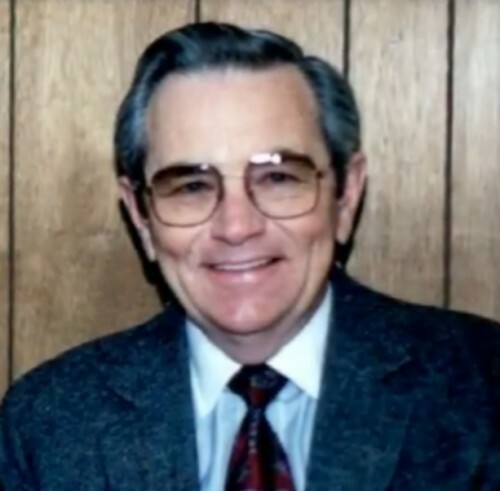 On January 5, 2006 sadly Joe D. Honaker died suddenly at his home. The funeral home continues operation as before and plans to provide the same friendly and courteous service to the people of the area for many years to come. The Honaker Funeral Home is one of the oldest continuing operating funeral homes in the state of West Virginia, and for that matter one of the oldest in the United States. The funeral home is looking forward to celebrating its Centennial Anniversary for 100 years of service to the area they call home. Honaker Funeral Home takes great pride in continuing to be family owned and locally operated and stands by its motto of Devotion-Dignity-Service-Respect. The funeral home serves all faiths and strives to meet the needs of those facing troubling and uncertain circumstances. Trust Honaker Funeral Home to do the right thing when their services are needed and their performance may be measured by a tradition of quality, honesty, and integrity. Our Heritage History DEVOTION-DIGNITY-SERVICE-RESPECT In 1908 the Harris family founded the Harris Funeral Home located on the third floor at the Logan Mercantile Company. In the 1930's the funeral home was moved up the street to 200 Main Street in the stately home of Logan County Judge Wilkerson that had passed away. The new location was the first in the area to be air conditioned which was one of the points in the Open House program when the funeral home moved. In 1960 Joe D. Honaker moved his family to Logan so he could begin work at the Harris Funeral Home. After working for nearly six years for Robert Harris, Joe was asked to come into the office one day and asked if he would like to buy the funeral home. In 1966 Joe and his wife Dolores purchased the funeral home and surrounding property. The name of the funeral home was changed to Honaker-Harris Funeral Home because of the wishes of Greta Harris the wife of the founder of the Harris Funeral Home until her passing. In 1973 the name was changed to Honaker Funeral Home. On January 5, 2006 sadly Joe D. Honaker died suddenly at his home. The funeral home continues operation as before and plans to provide the same friendly and courteous service to the people of the area for many years to come. Dolores Honaker has assumed the role of owner/operator of the funeral home with her son Michael J. Honaker maintaining his role as manager and director The Honaker Funeral Home is one of the oldest continuing operating funeral homes in the state of West Virginia, and for that matter one of the oldest in the United States. The funeral home is looking forward to celebrating its Centennial Anniversary for 100 years of service to the area they call home. Honaker Funeral Home takes great pride in continuing to be family owned and locally operated and stands by its motto of Devotion-Dignity-Service-Respect. The funeral home serves all faiths and strives to meet the needs of those facing troubling and uncertain circumstances. Trust Honaker Funeral Home to do the right thing when their services are needed and their performance may be measured by a tradition of quality, honesty, and integrity.